カリフォルニア Here we are...: We got a new couch! We got a new couch! scribbles in black markers and crayons! 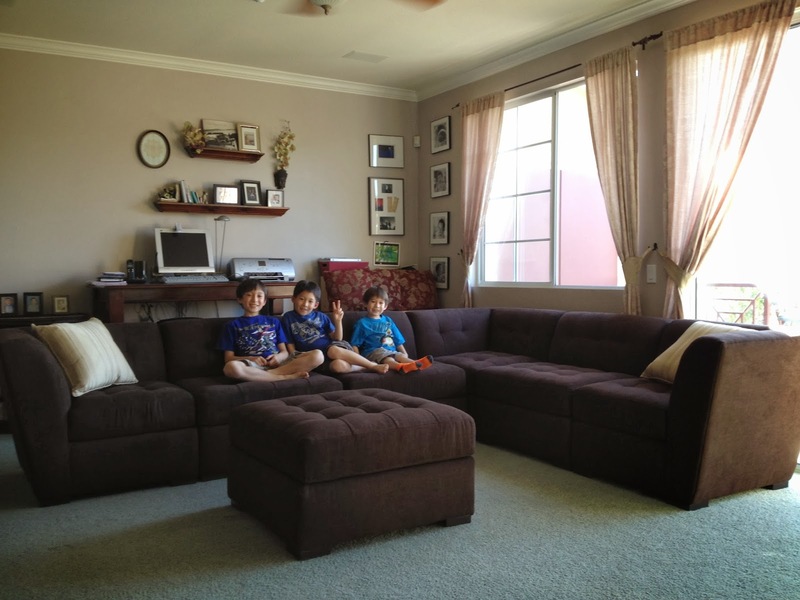 Hello, a brand new sectional sofa in rich chocolate color! I asked my 4 year old son burring his face in different parts of the new sofa what he was doing. He said he was checking if it smelled like a chocolate.